An increasing number of people are voicing concerns about our use of plastics day-to-day. Single-use plastics of any kind — such as grocery bags, cutlery, straws, polystyrene and coffee cups — are significant yet preventable sources of land and marine pollution. In Canada, bans on plastics have been left up to municipalities. Montreal and Victoria recently decided to ban plastic bags in stores, with business owners subject to huge fines if caught providing them to customers. Other municipalities and provinces, such as Halifax and Nova Scotia, are contemplating bans in the wake of China’s decision to no longer accept the import of certain recyclable products. Public awareness appears to be gaining widespread momentum across Canada and globally. National and regional plastic bag bans have been successfully implemented in Asia, Europe, Australia and North America. In Canada, some players are taking steps to reduce plastic use regardless of government policy. In 2009, Loblaw Companies Ltd., Canada’s largest grocer, implemented a five-cent charge on plastic grocery bags. This unassuming fee has reportedly diverted 11 billion plastic bags from our landfills and oceans over the last nine years. In February 2016, Walmart Canada followed suit and began charging customers a five-cent fee for shopping bags. Public sentiment on climate change and environmental stewardship has changed significantly over just the last few years, and more Canadians expect industry to act. But while the movement toward bans on single-use plastic items is significant, not everyone is convinced of their effectiveness. Some claim that plastic bags serve an important food safety function and protect the public from harmful bacteria, outbreaks and food-borne illnesses. 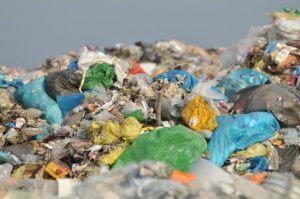 The Mercatus Center think-tank in the U.S. claimed that discouraging the use of single-use plastic bags is almost pointless given the insignificant variance in carbon footprint between bagging alternatives, including paper bags. And data from the U.S. Environmental Protection Agency suggest that only 0.28 per cent of all the garbage generated by municipalities, by weight, comes from plastic bags. These groups believe that banning the use of plastic bags is more about appearances and idealism than protecting the environment. Plastic bags are a convenience and habits are hard to break. What could be an inconvenience to food shoppers can be a political nightmare. But the problem won’t go away, since the planet is drowning in plastic pollution. A study led by the 5 Gyres Institute in Los Angeles estimates that at least 5.25 trillion plastic particles weighing 268,940 tons are floating in our oceans. The situation is being made worse by countries like Canada, whose food industry generates more waste from single-use plastic food packaging every year. Given that 26 per cent of all Canadian households consist of one person and the number of those living alone will continue to grow, the single-serve economy will expand, especially in food. This means single-use plastic packaging could increase at alarming rates. Banning plastics is a swift way to deal with the issue while we seek more impactful, sustainable strategies. The use of bio-plastics may be a solution. More and different feedstocks can be used to manufacture bio-plastics, including algae and shrimp shells. An increasing number of single-use coffee pods sold in Canada are compostable. The challenge, of course, is cost. Bio-plastics solutions cost more than twice the price of regular products. But given how rapidly the narrative around climate change is shifting, the green premium is increasingly being considered by industry. Once supply chains mature and feedstocks become more affordable, bio-plastics costs should drop. Reduce, reuse, recycle has been preached for years. Outright bans fit well within such a paradigm. But replacing single-use plastics requires a consumer revolution. The challenge is to keep grocery shopping from being a burden on the environment while avoiding customer inconvenience. Sylvain Charlebois is dean of the faculty of management and a professor in the faculty of agriculture at Dalhousie University, senior fellow with the Atlantic Institute for Market Studies, and author of “Food Safety, Risk Intelligence and Benchmarking.” Tony Walker is assistant professor with the School for Resources and Environmental Studies at Dalhousie University.